Life Cycle Assessment (LCA) data allow policy makers to develop sound sustainable consumption and production policies, and industries can base their innovation and strategic sustainability decisions on more robust information. Enhanced data accessibility and interoperability benefits the whole life cycle community and affects the way in which LCA goes mainstream. The “Global LCA Data Access” network (GLAD) aims to achieve better data accessibility and interoperability. The network will be comprised of independently-operated LCA databases (nodes), providing users with an interface to find and access life cycle inventory datasets from different providers. GLAD will thus support life cycle assessment through easier access to data sources around the world. One of the main functionalities of GLAD will be the conversion function which will allow users to convert a dataset from its native format in the source database (node) into another format convenient for the user. This functionality is based on key metadata descriptors that will be required from datasets to be connected to GLAD in order to allow for interoperability between them – as well as a global mapping of elementary flows’ nomenclature. 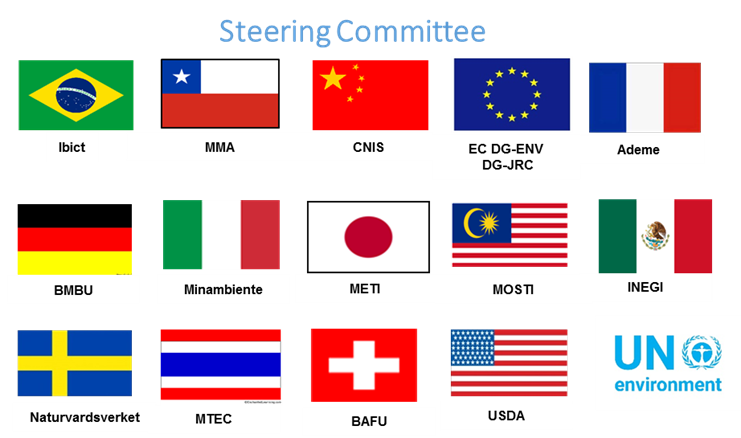 UN Environment serves as the Secretariat of the GLAD network, with representatives from 14 governments in the Steering Committee (see below). “Metadata descriptors”, delivering a basic list of metadata descriptors to facilitate interoperability and the assessment of “fitness for purpose” by users, as well as advanced recommendations on how interoperability and assessment of fitness for purpose can be enhanced in the future. The final report of the working group can be accessed here. Dataset providers around the world are invited to express their interest in becoming a node of GLAD. Many, including the US LCA Digital Commons, the Brazilian LCA database, the European Life Cycle Database, ecoinvent, IDEA, the Mexican LCI Database, France’s IMPACTS database, and the Global Feed LCI institute have already done this. The network interface is currently under development and will be launched in the 2nd quarter of 2018. Watch our Twitter feed for news!